When I heard that the Royal Academy was going to host an exhibition on the work of Flemish baroque painter Peter Paul Rubens and his influence on the generation of artists who followed him, I thought it was my chance to warm to a painter who was never really appealing to me. After going to the exhibition, I’m certainly more familiar with his works and style but I’m not so sure I warmed to his work or fully understood the reach of his legacy. During his artistic life, Rubens embraced through his art a variety of different themes including religion, landscapes, mythological scenes and portraits; he is also famous for painting very voluptuous women which received controversial comments from his audience. The exhibition presents the artworks through six sections: power, lust, compassion, elegance, poetry and violence. Visitors can also see La Peregrina, a selection of works by 20th and 21st century artists – including Picasso, Bacon and Freud – brought together by British artist Jenny Saville owing to their connection with Rubens’ work. Rubens, also known as the prince of painters, was not only a talented painter and a pioneer of the Flemish baroque but also a very confident artist who skilfully promoted his work through mass-produced engravings; from the Flanders to Italy, from Spain to the UK, he was the most circulated artist of his time. The main objective of the exhibition – on at the Royal Academy until April 10th – is to give an overview of Rubens’ art and his impact on the generation of artists who followed him: works by Picasso, Rembrandt, Van Dyck, Delacroix, Constable and Gainsborough are on display to highlight their similarities with the Flemish master. Unfortunately, some of the connections seem a bit too stretched and the exhibition fails to really dazzle the audience and risks to confuse rather than inform. 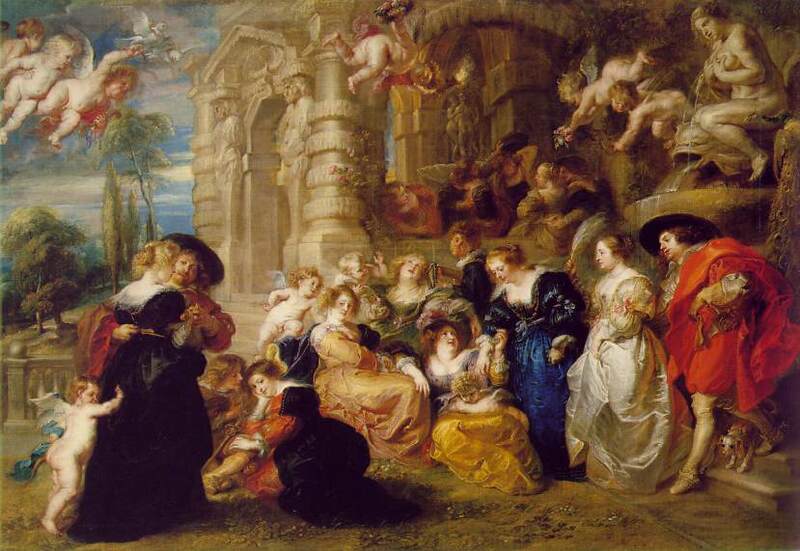 A few of Rubens’ masterpieces are exhibited including “The Garden of Love”, “Venus” and “Tiger, Lion and Leopard Hunt”. However, they only represent a small part of the works displayed and half of them are drawings. The exhibition also lacks of any mention about the influences on Rubens’ work like, for example, the Italian Renaissance, Titian and Veronese as well as Michelangelo’s sculptures. This would give a bit more background and a more complete historical reference to the works on display. Overall, a disappointing show but still worth visiting if you are a complete novice to Rubens’ work and want to see a few of his famous masterpieces.